A stunning example and as good as you will ever find. 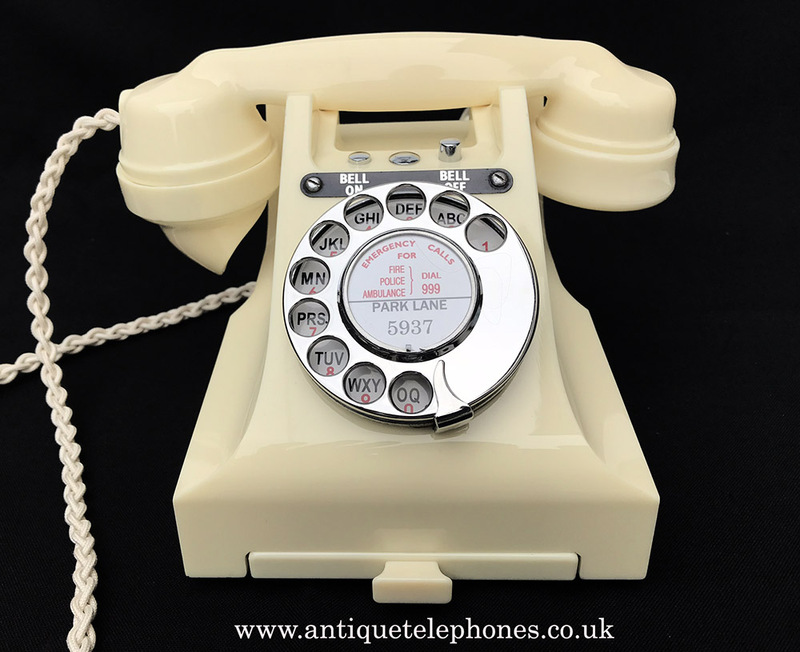 This one is dated 1956 on both the handset and the base. It is in wonderful condition and has been totally stripped down and rebuilt after each part has been cleaned and polished. 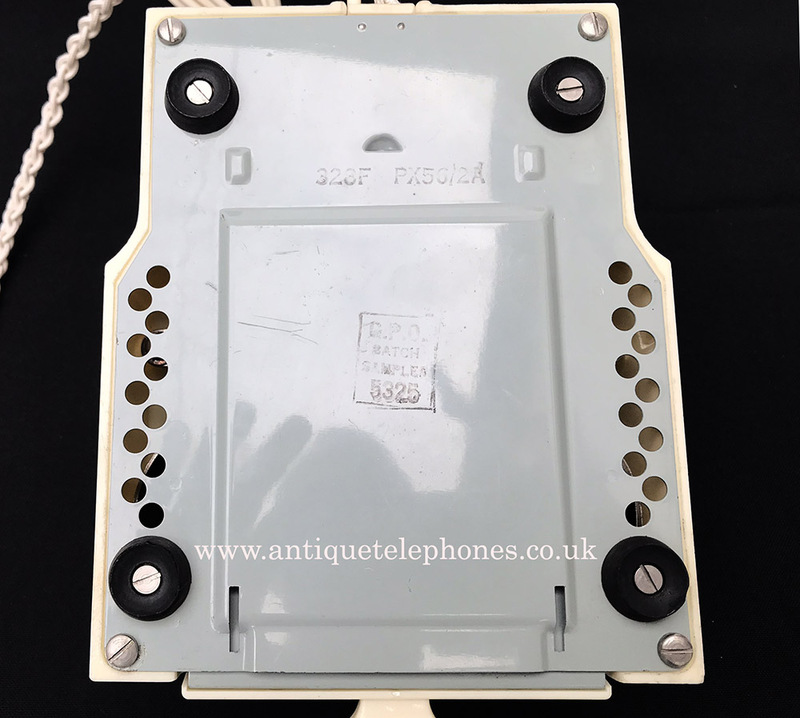 It has been fitted with an electronic microphone, a very best quality hand plaited braided handset cord and a GPO specification round plastic line in cord with a UK telephone socket plug. The dial is a genuine GPO No12L with stainless steel finger dial, finger stop and alphanumeric dial back. 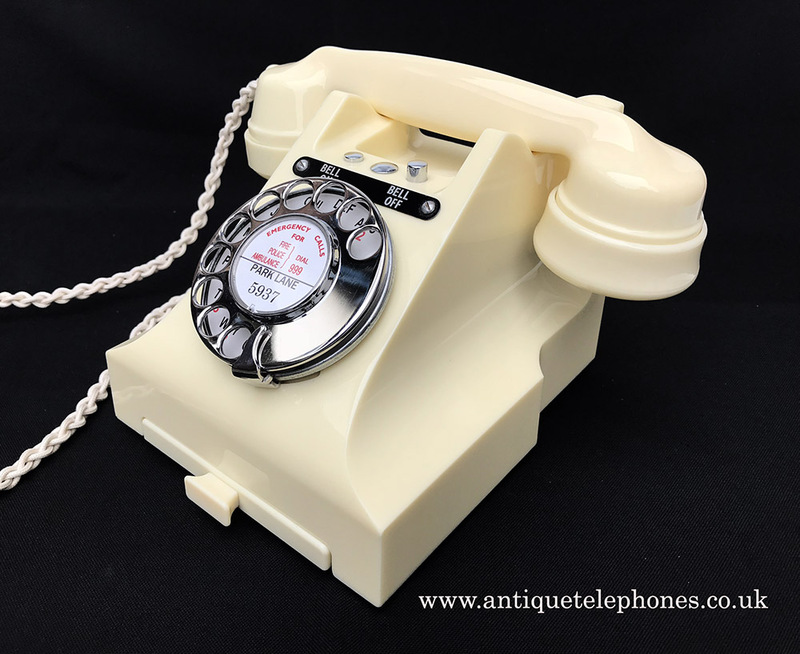 This model is a sought after GPO 328L model having the bell on bell of buttons. The switching mechanism is all original and wired to work perfectly. 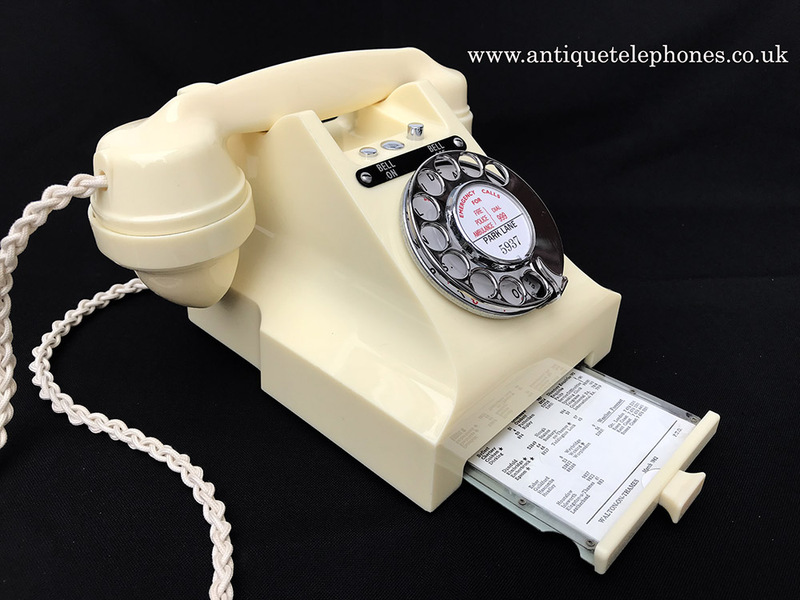 This telephone has been tested on a special line simulator to make sure the speed and make and break contacts in the dial are correct as modern cable networks require it to be very accurate. 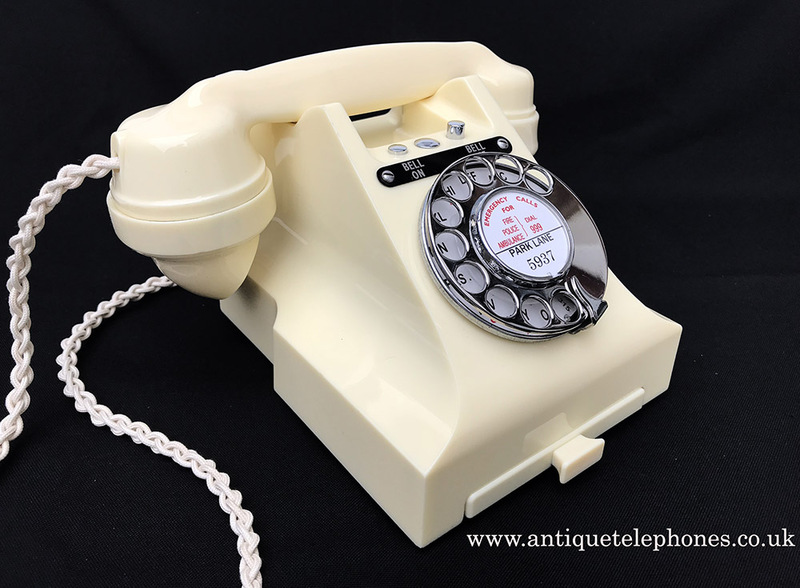 It has then been tested on my own BT land line and is working perfectly to dial out and receive and the bell on bell off function is also working correctly. ready to plug in and go. 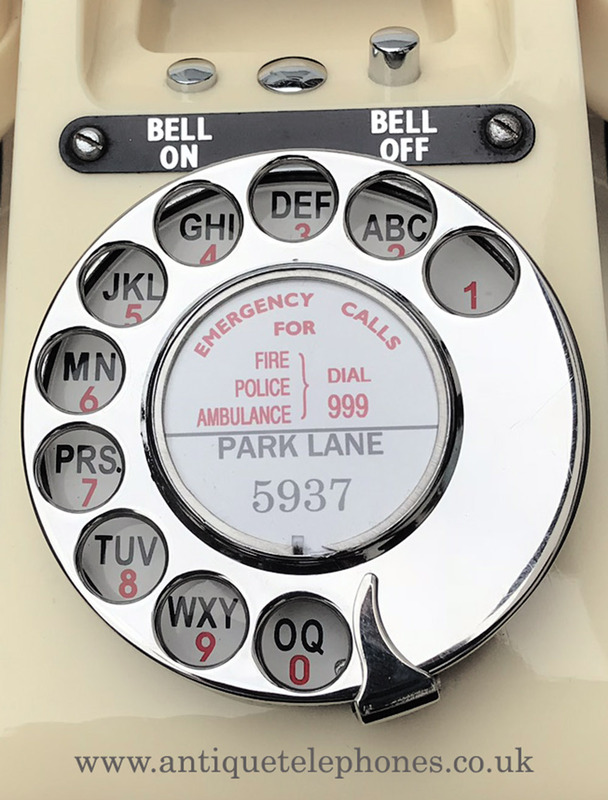 I can make a dial label with your own information at no extra charge.